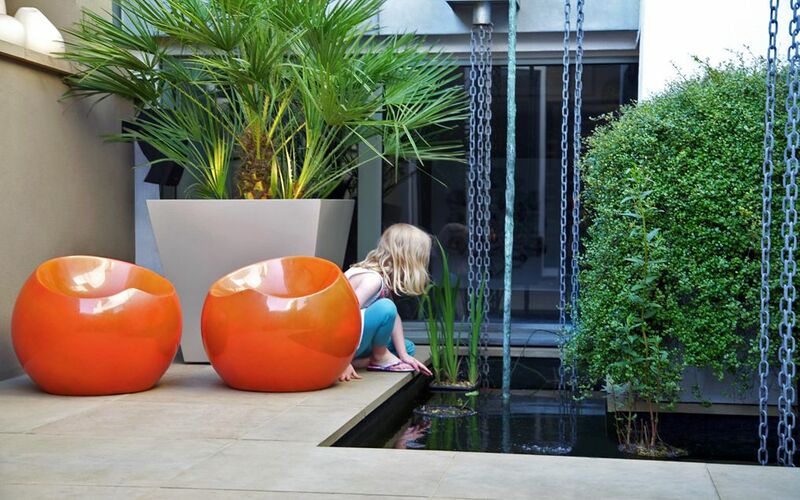 Designing and building contemporary family gardens in London presents us with an incredibly diverse spectrum of projects, where each and every nuance of a garden design practice manifests itself within compelling outdoor social interactions, amid a broad scope of family dynamics – enabling unparalleled landscaping wholesomeness. 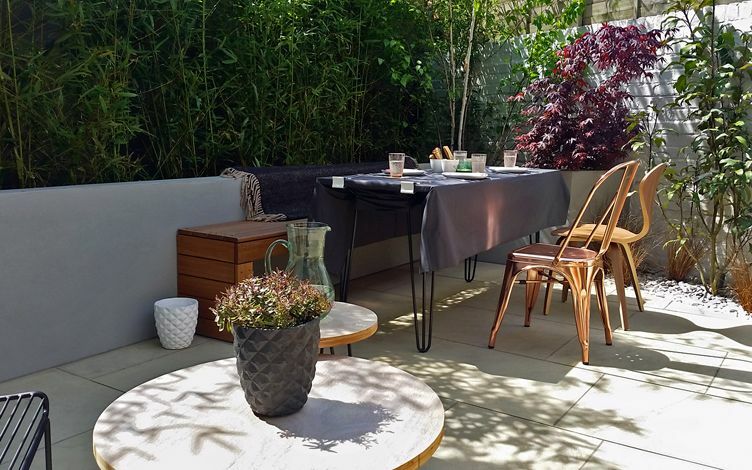 Since many of our London clients travel and relocate frequently, while spending family time in country homes at weekends or on holidays, the gamut of family garden designs we create is remarkably engaging – featured in this compendium of our family garden project titbits. Location: London W4. 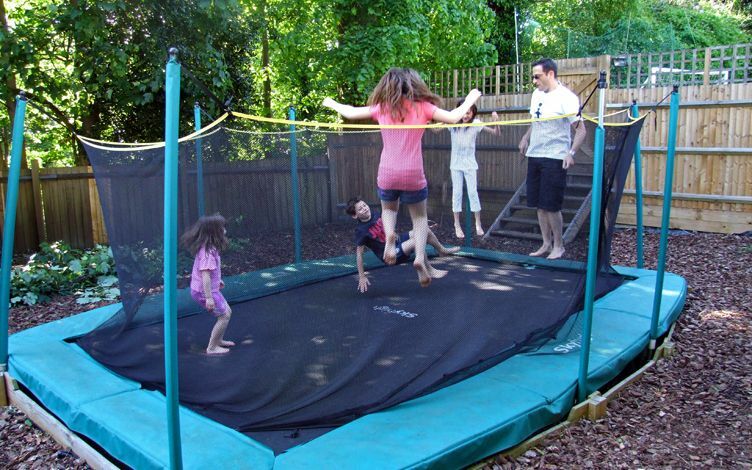 Family: travelling internationally, space for kids' sports. Garden: 800sqm. Design elements: swimming pool patio, front garden, specimen trees. 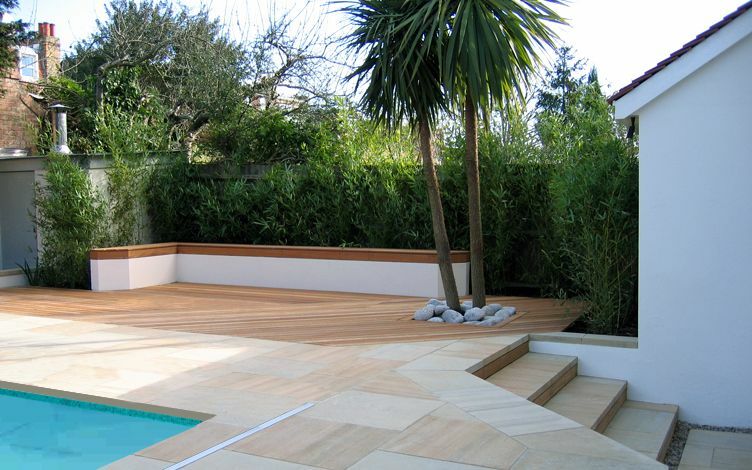 Build features: decking, paving, seating. Location: North London NW8. 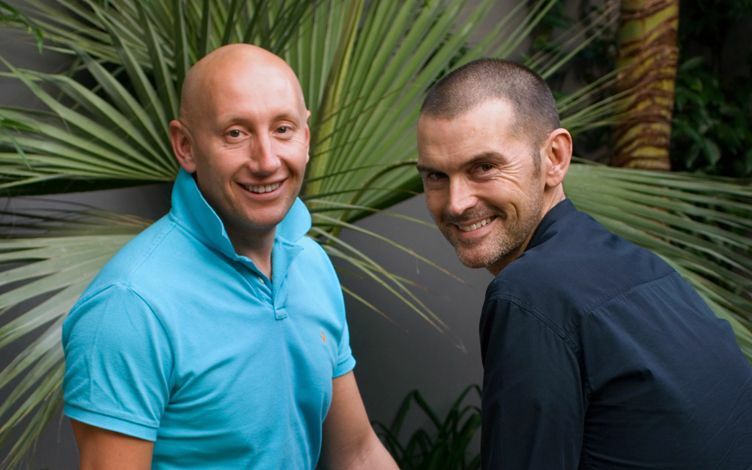 Family: travelling to home in Southern France, space for 4 boys, their dog and large extended family. Garden: 150sqm. 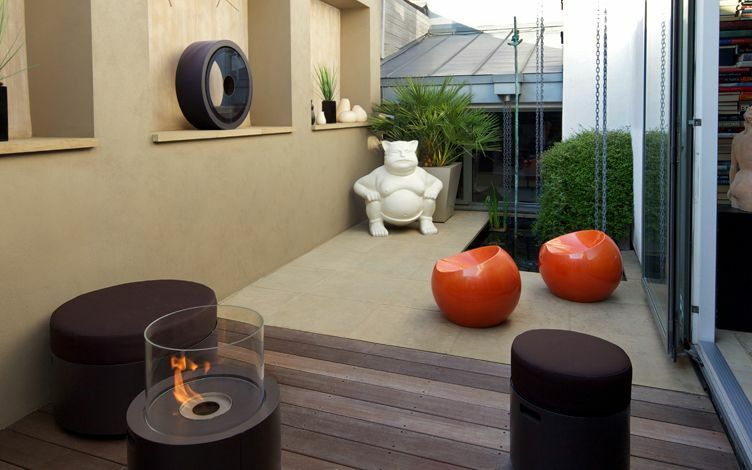 Design elements: back and front gardens, roof terrace. 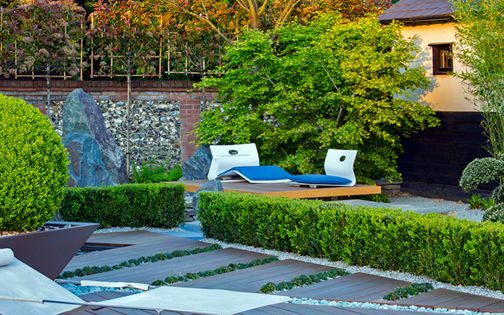 Build features: bespoke benches, granite waterfall, architectural planting. Location: North London N6. Family: travelling internationally, space for a brother and sister. Garden: 400sqm. Design elements: front garden, rooftop terrace, sunken trampoline, swimming pool patio, driveway. 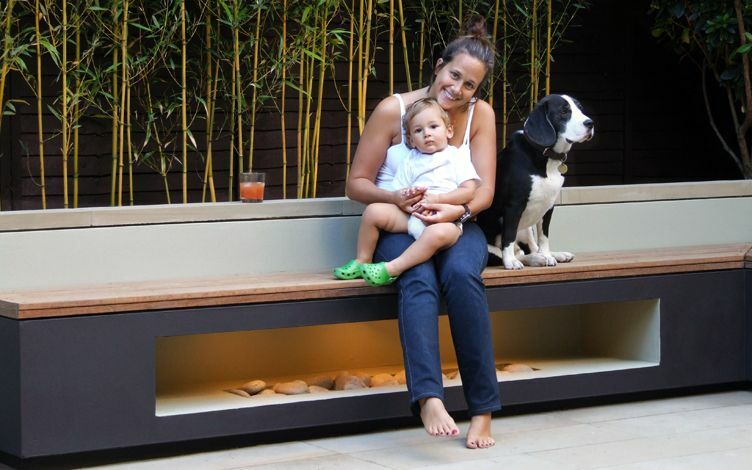 Build features: custom-made planters, raised beds, slope terracing. Location: Uttlesford, Essex CB11. Family: weekend home, travelling internationally, space for a brother and sister. Garden: 5 hectares. Design elements: large swimming pool patio, mature specimen trees, native hedges, herb garden, driveway. 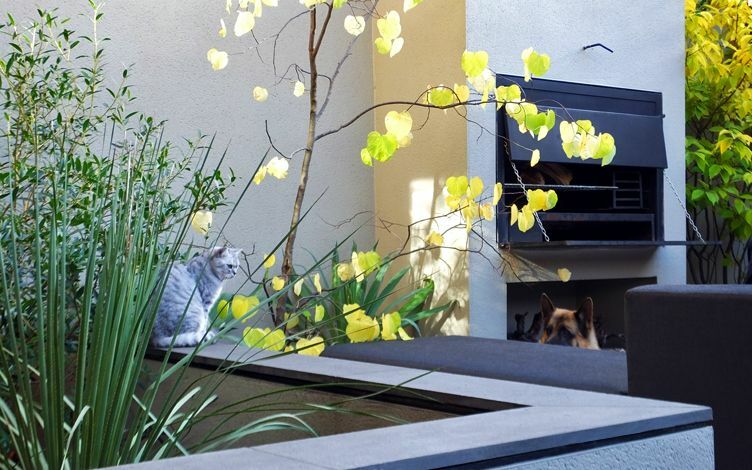 Build features: topiary, Ginkgo and Olive trees, architectural planters, entrance garden landscaping. Location: London N1. Family: space for young kids, their cat and large extended family. Garden: 35sqm. 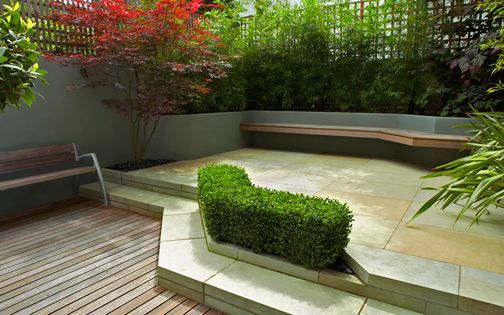 Design elements: sandstone patio, built-in seating, screening. Build features: floating bench, living wall. Location: South London SW12. Family: travelling to USA, space for toddlers and grown-ups' entertainment zones. Garden: 90sqm. Design elements: Box hedging, Maple trees, low maintenance surfaces. 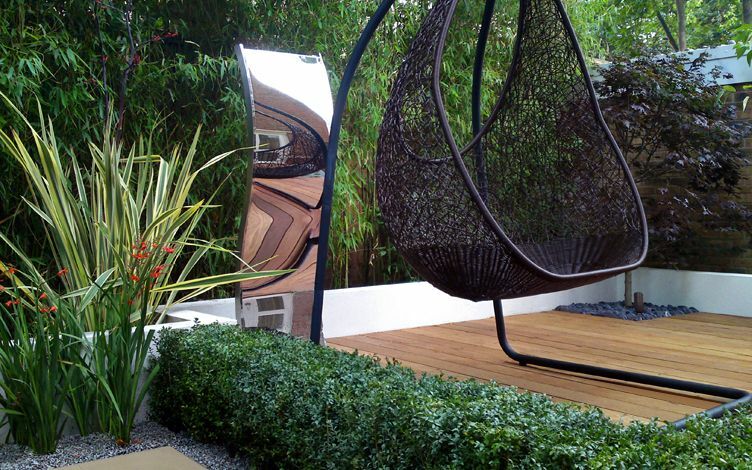 Build features: seating areas, lush planting scheme, lighting and irrigation. Location: London SW18. Family: single dad working internationally, space for young girl and informal alfresco entertainment. Garden: 25sqm. Design elements: patio, fish pond, outdoor wine pantry, rooftop balcony. Build features: modern sculpture display wall. Location: South London SW4. 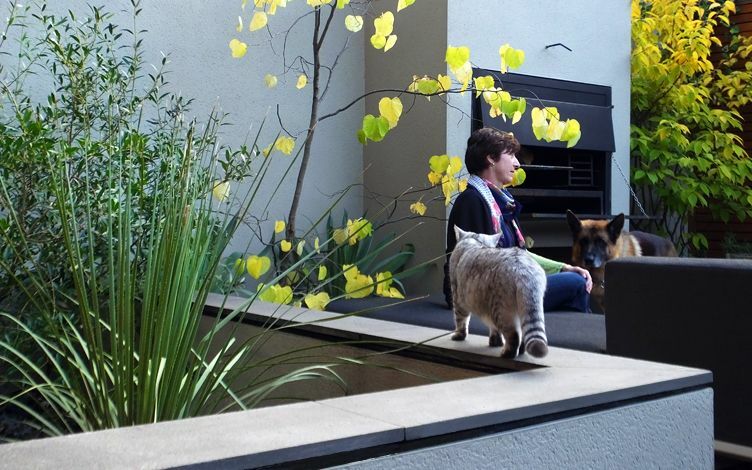 Family: young family, their cat and dog, with plenty of outdoor socialising. Garden: 70sqm Design elements: outdoor oven, bar, storage, roof terrace, front garden. 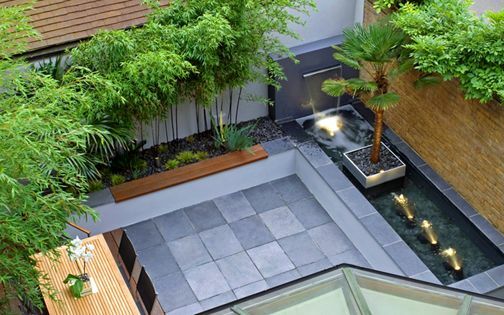 Build features: waterfall, sculpture, bespoke planters, lighting, architectural trees. Location: London NW3. Family: two dashing gentlemen and Truman, their Tibetan Terrier! Garden: 40sqm. Design elements: patio, seating, lighting. Build features: water feature, raised beds, tropical planting. Location: North London N5. 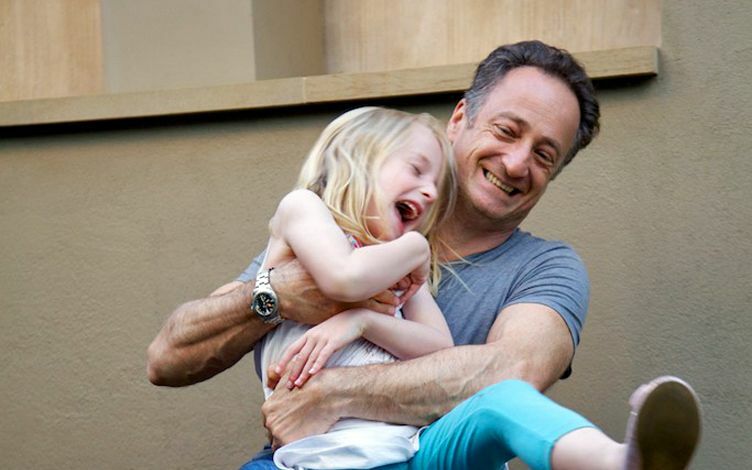 Family: travelling to Southern Italy, space for a brother and sister. Garden: 40sqm. Design elements: limestone and flamed granite patio, synthetic grass, Cedar screening, tall palm trees. Build features: curved bench, LED lighting, bespoke planters. Location: London NW3. 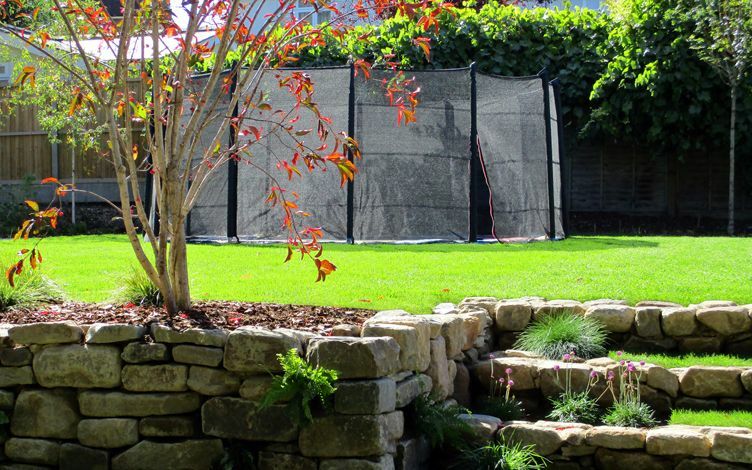 Family: travelling often to USA, space for young twin girls and their various pets... Garden: 35sqm. Design elements: patio, privacy, roof terrace, front garden. 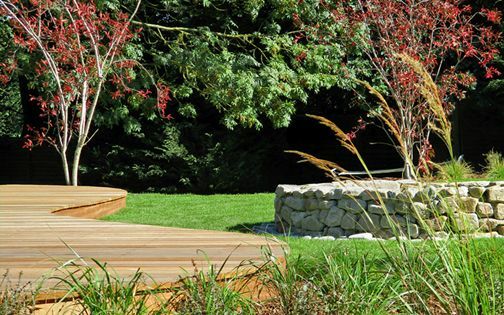 Build features: cantilevered bench, Box hedging, woodland planting, raised beds, outdoor lighting. Location: London N20. 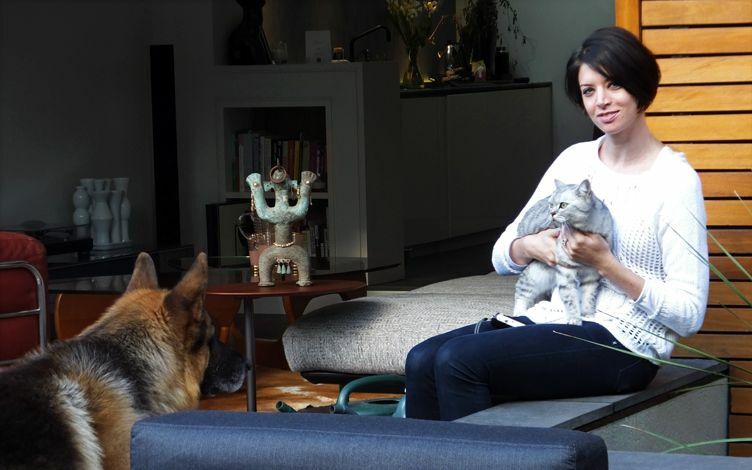 Family: 2 young children and 1 teenager, two dogs and a cat. Garden: 0.5-acre. 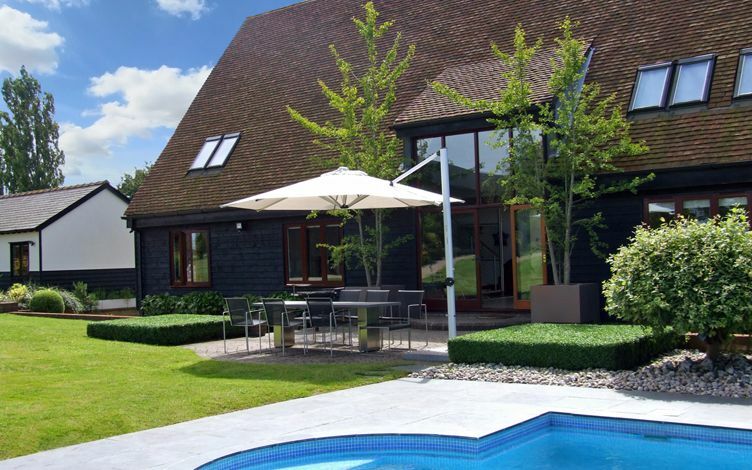 Design elements: new patio, level changes, native flora, trees, meadow and woodland planting. 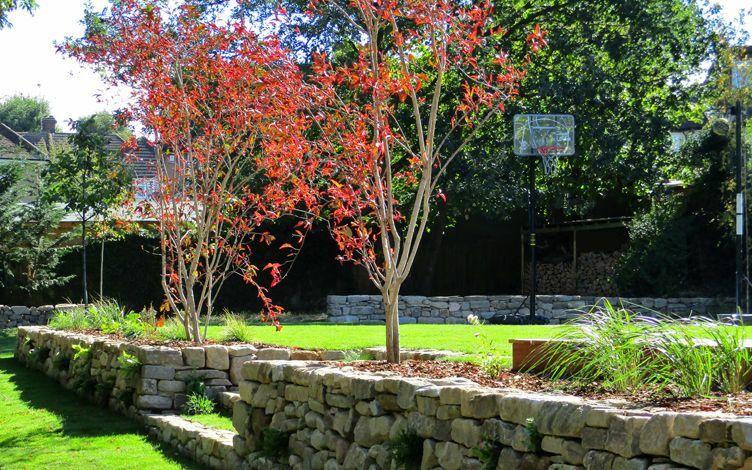 Build features: natural stone walls with native ferns, sunken trampoline, basketball court, curved sun deck, natural fire pit, tiled patios.